Everyone is welcome to Join us every week for parties, dance classes, latin percussion, and cultural events. Want to Join a Vibrant Dance Community? Want to meet other people who value fun, forward thinking, night life, community, music, and arts? Welcome to Salsa Ithaca. For the past 12 years our team has provided events and instruction contributing to the vibrant Latin cultural scene in Ithaca and the Finger Lakers region of upstate New York. Through shared experiences in social dance, music, instruction, folkloric tradition, concerts, and public celebrations, we connect people from diverse walks of life into a community of joy and learning. You'll get our weekly newsletter with events, parties, classes, and special invites. Learn with Ithaca’s premiere Latin music and dance instructors. Michael teaches Salsa Casino style and other Latin nightclub partnered dances. His passion for Salsa and Latin music originates in his Puerto Rican cultural roots and appropriation of a world-Latin cultural aesthetic. Michael has studied Salsa formally with instructors in New York City, central New York, and New Jersey, and has learned informally in Puerto Rico, Cuba and Spain. Dance classes are invaluable to new and experienced dancers alike. Yet Michael instructs that a true Salsa and Latin dance acumen also derives from music appreciation, self-teaching, persistent practice – alone, with a partner, and socially – and through the spontaneity of movement and expression generated through enjoyment of music and ambience. Michael helps provide his students with all the tools they need to become great dancers. Michael began teaching Salsa in the Ithaca and Finger Lakes area in 2005. His instruction emphasizes rhythm, timing, music flow, body expression, lead-follow connection, confidence-building and having fun. Partnered classes combine open step arrangements (“shines”) with partnered turn patterns and guided social dance practice. 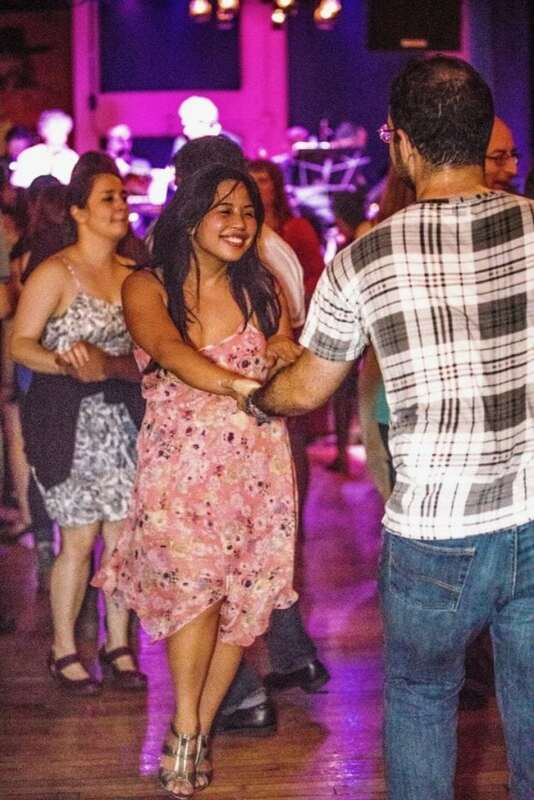 His “Suelta” (loose) instruction develops choreographic arrangement in line dance format and aims to provide both a workout and great moves for the dance floor. An added benefit for Michael’s students is immediate integration into a Latin social dance community. In addition to dance instructor, Michael is also a DJ and promoter of Latin music and dance in the Finger Lakes area. He treats his students to the best in dance instruction and to a social context where music and dance is enjoyed. Jonathan Kline began study of the violin at age seven. By age fourteen he was attending the pre college division of The Julliard School in NYC on scholarship. His study of the violin and music continued at the Boston University School of Fine Arts. While in Boston, he played throughout the area with the jazz group Worlds led by bassist Jamyll Jones. Soon after leaving Boston, he joined the Free Jazz Ensemble led by the German multi-instrumentalist and composer Gunter Hampel. With them, Jonathan performed extensively in the New York City area and toured much of Europe. Interested in all types of music, he has been a member of groups playing Charanga, Klezmer, Celtic, and Balkan music. While in Colombia, he played with folkloric musicians from both the north and west coasts. Largely self taught as a percussionist, Jonathan has played hand percussion for twenty five years. 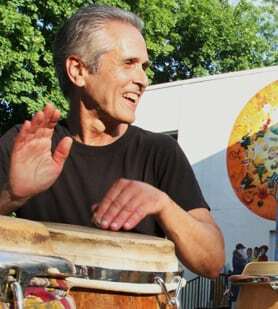 Jonathan's focus on Afro-Cuban music intensified through his meeting and friendship with Cuban-American percussionist Hiram Jimenez (1955-2016).